The Federal Rules of Criminal Procedure are the procedural rules that govern how federal criminal prosecutions are conducted in United States district courts and the general trial courts of the U.S. government. As such, they are the companion to the Federal Rules of Civil Procedure, which govern civil actions in federal court. The admissibility and use of evidence in criminal proceedings (as well as civil) is governed by the separate Federal Rules of Evidence. 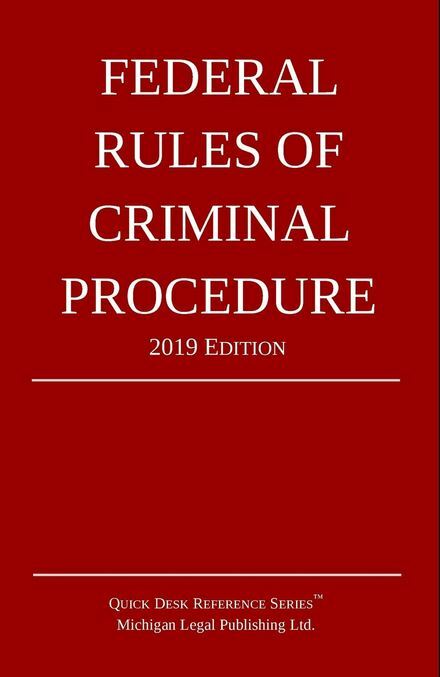 This mobile-friendly, online edition of the Federal Rules of Criminal Procedure is designed for easy search and reference, and is up-to-date including the latest amendments for 2019.